A warm, friendly hostel only 2 minutes from St Stephen's Green and serving the best espresso in Dublin! 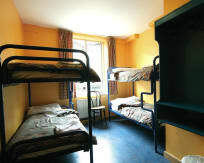 Are you looking for cheap, clean and secure accommodation close to everything in Dublin city centre? 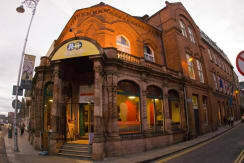 Avalon House is located just minutes' walk from Trinity College, Temple Bar and St. Stephen's Green. 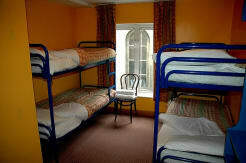 We offer a variety of rooms, from 12-person dorms, 6- and 4-person rooms, singles and twins, with en suite or shared facilities. 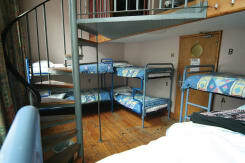 Rates include bed linen and breakfast, free Wi-Fi and Internet terminals. We have a large self-catering kitchen, a games room with table tennis, foosball, Playstation and a pool table, plus a cinema with free movies every night. We have free city maps, event guides and discount books, plus a free walking tour which departs reception at 10.30am every day! We also offer bicycles for hire, laundry service, luggage storage, laptop safes and a travel desk with a tour-booking service. We're also home to the famous Bald Barista Café where you can enjoy the best espresso in Dublin. A proud member of Europe's Famous Hostels, Avalon is one of the only hostels in Ireland that uses wind and solar energy to power the hostel and has full recycling facilities. The cheapest way to get here is on the 16A bus from the airport. It will drop you right beside the hostel on Aungier Street and costs €2.65. Make sure you have exact change as none is given on the bus. The journey lasts about 40/60 minutes and it operates from 7.45am during the week and 8.30am on Sundays. The last bus is 10.40pm except Saturday when it is 10.20pm. Buses go roughly every 20 minutes but check the timetable at the bus stop for exact times. Please note that guests under the age of 18 must be accompanied by an adult and cannot share dormitories. Please be aware that all persons under 18 years of age must be accompanied by an adult and can only be accommodated in a private rooms with private bathroom ( ensuite rooms) . Guests must show a valid form of photo ID to check in (passport, national ID, drivers license). Any cancellations must be made at least 24 hours in advance of the arrival date. Failure to do so will result in a charge of the price of the first nights stay. All bed linen provided free of charge. Towels for rent for 2 Euro. 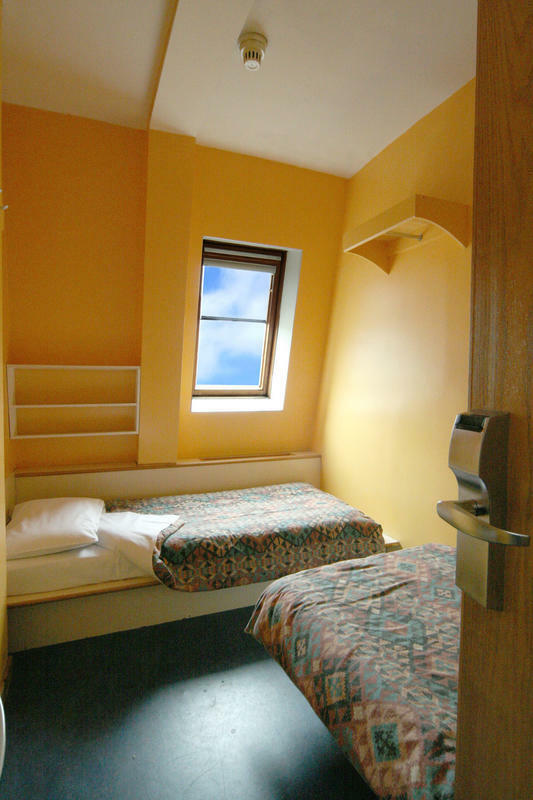 Please note some of our Quad rooms are located in POD 500 & POD 600, these rooms are accessed from outside however the keycard provided will give you access to all public areas of the Hostel. NON-REFUNDABLE RATES - Rules & Restrictions Payments for bookings at Advance Purchase/Non-Refundable rates. Non refundable rates are based on a concession and bookings will not be modified. The full amount due will be charged to the card securing the booking within 24 hours of making the booking. Failure of successful payment within the 24 hours will result in your booking being cancelled without further notification.